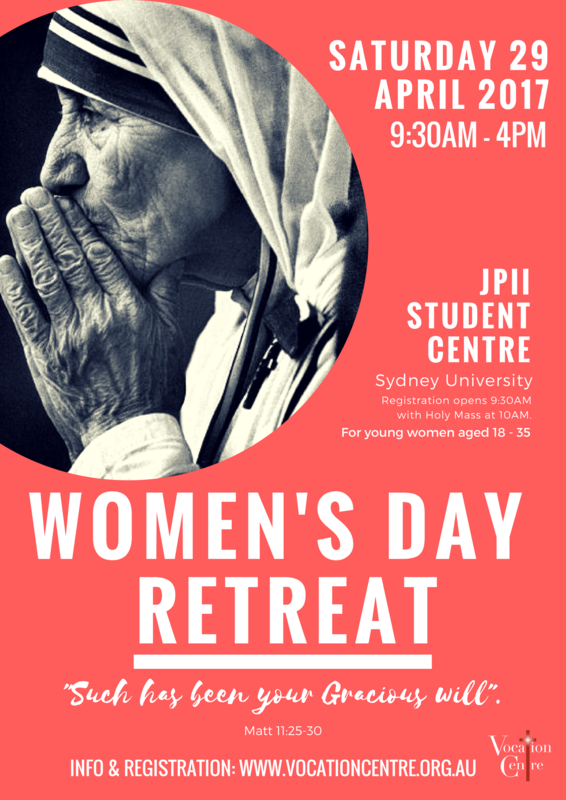 A day for young single women to learn more about consecrated life and vocation discernment with informed talks, spiritual direction, adoration, confessions and much more. The day will include Mass, time for personal prayer, opportunities for one on one chats with consecrated women, confession, adoration and rosary. We will also be launching the Mother Teresa Discernment Group for Women at the day. For young single women aged 18 – 35 years old.